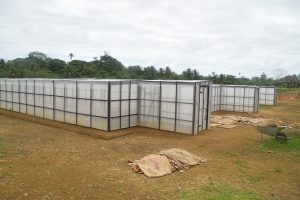 A variety of coconut seedlings from the Southern Region of PNG has all been collected and reserved at the recently commissioned Pre-Entry Quarantine Coconut nursery at Kelabebala, Misima Island. PNG Air transported the seedlings to Misima Airport on the 29th of October. There was a total of 8 varieties of seedlings that were collected and planted in the Nursery.